Law firms, accounting firms, hospitals, and police stations all have one thing in common: mountains of records that need to be kept confidential and secure. If your file room is overflowing, don't drive your paper work across town to rental storage unit! 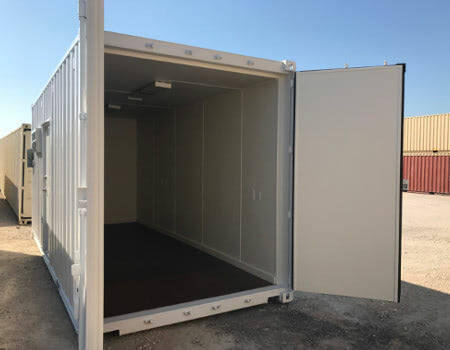 Use an onsite climate controlled shipping container to protect key files. Personnel doors with keypad access. Convenient Access and Security in One Portable Unit. Store your records onsite during a construction project or long term. When you do need your records, they'll be right there tucked beside your office building. You can even place your shipping container outside without worrying about theft thanks to the 16-gauge corten steel enclosing the archives. Set up is also a breeze. Shipping containers are modular, meaning you can relocate them as needed. Simply reconnect your container to power and it will be back up and running. So long as you have a dry, level, and flat surface, you can set your container down and plug it in less than an hour. Turnkey Container Storage Keeps Mold Out. Pest proof seals and steel walls prevent damage to irreplaceable records. Climate control systems keep humidity and temperature at perfect levels for long term preservation. When you do need your records, they'll be right there tucked beside your office building. You can even place your shipping container outside without worrying about theft thanks to the 16-gauge corten steel enclosing the archives. Have something else in mind? 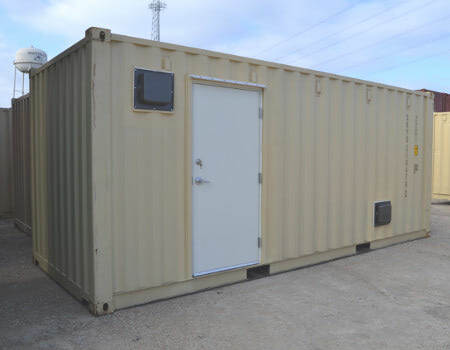 Check out more options for onsite storage containers or contact us at 877-704-0177 or sales@falconstructures.com.